Each week in my Facebook page I write a ROCK AND ROLL QUESTION OF THE DAY. It might be a question something like: Who do you believe were the two people most responsible for the success of The Beatles? I’m sure, almost everyone would answer John Lennon and Paul McCartney. You can’t blame them, John and Paul wrote hundreds of songs. 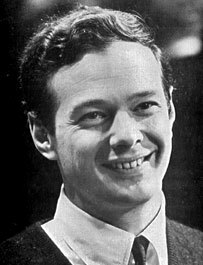 But I think the most fortunate occurrence to have happened to the group was whenever Brian Epstein, who managed the record department at NEMS, heard about the recording of “My Bonnie” by Tony Sheridan and The Beat Brothers. Kids were coming into his record store asking for the record. Brian sold the dozen copies he ordered. He then reordered 12 more dozen which promptly sold. When Bill Harry told Brian the group was performing at The Cavern just a short distance from his store, Brian left to hear the group. After seeing how the screaming kids where drawn to them, he knew he wanted to manage The Beatles. Brian taught them simple things like how to dress, what to say on stage, to bow after each song etc. But one of Brian’s most important accomplishments: after getting turned down by many record companies, was to make a record deal with George Martin. 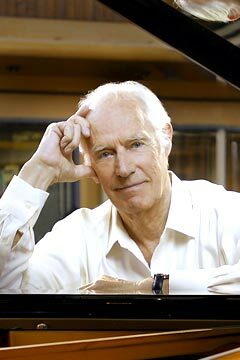 George Martin was a not so successful producer at Parlophone, a division of the huge conglomerate at EMI. Although he, as well as Brian had a classical music background, was producing mostly comedy LP’s. Peter Sellers was one of his artists. After listening to a few of The Beatles songs and not being too impressed, George thought he might take a chance with the young group. There was something about their sound that intrigued him. The fact that George Martin was not hugely successful at the time, was probably another one of the big breaks that came their way. If George Martin had a lot of hits going for him, he might not have had the time to record The Beatles. However, sometimes it seems that all good things may have to come to an end-unfortunately. Around 1969 with the recording of Let It Be, there seemed to have been a falling out between the group and George Martin. Brian died of an accidental overdose, it was believed, on August 17, 1967 at age 32. It was still early in the career of The Beatles and some people believed that he was the glue that held them together. About three years later the group would break up. Who do you think were the two biggest influences in the success of The Beatles?